This DC-DC step-down voltage regulator board has LM2596, a step-down switching regulator, on it. The regulator can pass through current up to 3A on itself. It's input voltage range is 4-35V and you can get an output voltage adjustable between 1.25-30V via the trimpot on the board. 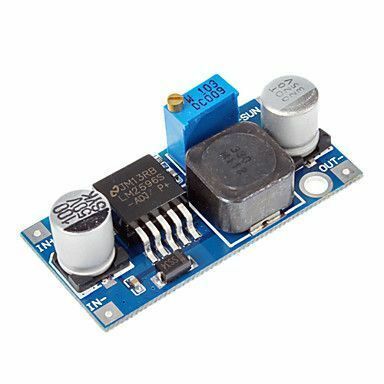 You can use this voltage regulator board in hobby and robotic projects. 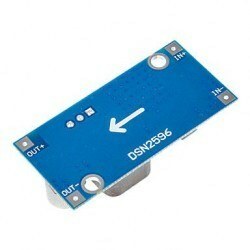 When using this board, the input voltage always must be higher than output voltage. IN+ is positive voltage input, IN- is GND input, OUT+ is positive voltage output, OUT- is GND output.